Elsie Rich of Santa Rosa is turning 110 shes among the oldest Jews in the world! 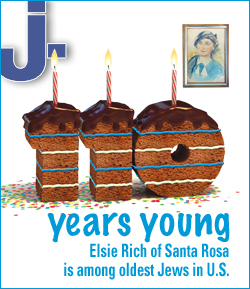 – J.
Elsie Rich of Santa Rosa is turning 110 shes among the oldest Jews in the world! Elsie Rich is a woman who enjoys a good party. There are albums full of photos to prove it: Elsie laughing with old friends, Elsie raising a glass of wine at a Passover seder, Elsie flanked by other members of her local Hadassah chapter (of which she was a founding member and president for six years). Among the most iconic is Elsie, in a pearl necklace and earrings, comfortably doing the splits on a rec room floor, eyes sparkling, a slightly smug smile on her face. Of course, that was 20 years ago — when Elsie was 90 years old. These days, to be sure, the longtime Santa Rosa resident is moving a bit more slowly — though, as usual, there is a full schedule of parties lined up to celebrate her birthday. But as the oldest person in Northern California, or at least believed to be, Elsie is more than just a local celebrity. When she turns 110 on Saturday, Aug. 6, she’ll join the ranks of the “supercentenarians,” the elite international club of 89 officially recognized people in the world who are 110 or older. Of those currently on the list, 83 are women; six are men; 21 live in the United States. A database tracking verified supercentenarians’ birthdates and family information is meticulously maintained by the Gerontology Research Group. While the organization doesn’t track members by religion, Robert Young, a researcher with the GRG, said it’s safe to assume Elsie’s at least one of the 10 oldest Jews in the United States. She appears to be No. 2 in California, behind noted playwright, screenwriter and author Frederica Sagor Maas, a resident of La Mesa (near San Diego) who just turned 111. The oldest Jew in the United States is believed to be New York resident Evelyn Kozak, 111 with a birthday coming up Aug. 14. The oldest person overall in the U.S.? That would be Besse Cooper of Georgia, who at 115 with a birthday this month is also the world’s oldest. These days, if she doesn’t feel up to it, Elsie doesn’t speak much, and when she does, it’s often her native tongue, German. Her reactions, however, make it clear she’s well aware of the conversations taking place around — and about — her. “Elsie, what do you think your secret is? What do you think has kept you young?” Newman asks in German. Elsie smiles, almost giggles in response, but says nothing. Born in Vienna on Aug. 6, 1901 as Elsa Schiffman, Elsie worked from a young age; her father died when she was 12, and her mother took over the family’s textile factory. Elsie also helped to raise her younger siblings. As a teen, she was greatly influenced by the work of Austrian psychiatrist and Freud contemporary Alfred Adler, who was the first in the psychology community to argue for an early form of feminism. Elsie married Henry Reich in her early 30s. The couple left Austria for New York City in 1938, after Henry awoke one morning to see a Nazi flag draped across the hotel outside their home. Unlike many Jews in the area at the time, he felt Hitler was a serious threat. 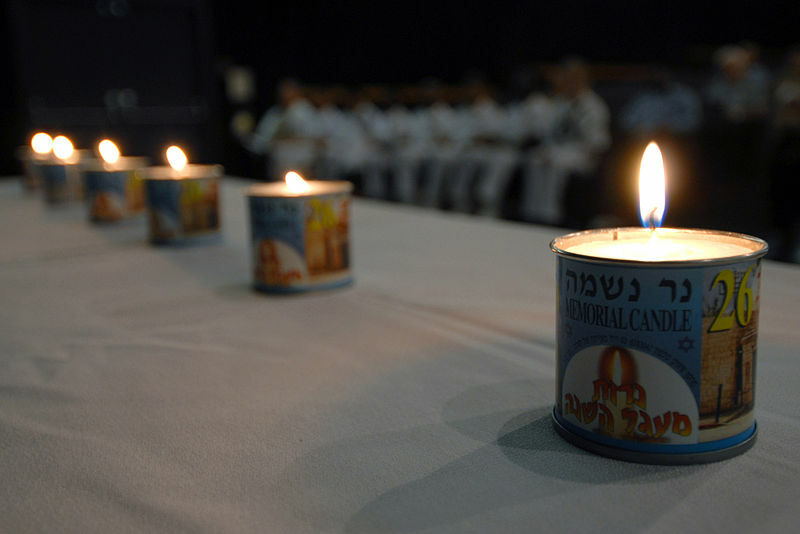 Most of the couple’s family who stayed behind were killed in the Holocaust. After five years in New York, Elsie and Henry moved to Santa Rosa — which was, in the 1940s, mainly farmland. Like many Jewish immigrants at the time, the couple raised chickens for a living. Friends say Elsie’s physical strength and agility has always matched her positive outlook on life. After Henry died in 1976 — the couple never had any children — Elsie began exercising more frequently than ever before. She did the splits and headstands into her early 90s, and as a longtime yoga enthusiast, she also exercised vigorously into her early 100s. She said she never smoked, but doesn’t deny ever taking a drink. She also lived on her own, in a second-story apartment, for almost three decades after Henry died. Elsie stayed busy and active well into her first decade as a centenarian: In addition to regular exercise and attending Shabbat services, shopped for her own groceries, taking the bus to get around, cooked her own meals and played Scrabble often. She used a walker up until last year, but is now in a wheelchair. Mondays were for gambling. Elsie was such a regular at the casinos of Northern California that, for her 106th birthday, River Rock Casino — her favorite — sent a limousine to pick up her and 10 friends. A day of gambling, lunch, champagne and birthday cake was on the house, complete with gambling money. Those who know her best say Elsie’s wit, mental dexterity and eagerness to learn about the world around her are as striking as her physical fitness. At a birthday gala when she turned 100, the emcee said to those gathered, “So Elsie, how are you going to top this next year?” “They’re going to name a freeway after me,” she shot back. Confused, the emcee said something like, “Huh? Oh really?” “Yeah, Highway 101,” Elsie said. Slater arrived at Beth Ami in 1982, and Elsie had just turned 80. “She was so active, so clear and present at every Shabbat service, every event,” he says, remembering one Simchat Torah soon after he arrived, when the congregation was dancing and the rabbi happened to pass the Torah to Elsie, who was fairly recently widowed. Santa Rosa’s Jewish community has always been an important part of Elsie’s identity, according to Slater and others — in part because she helped to shape it. 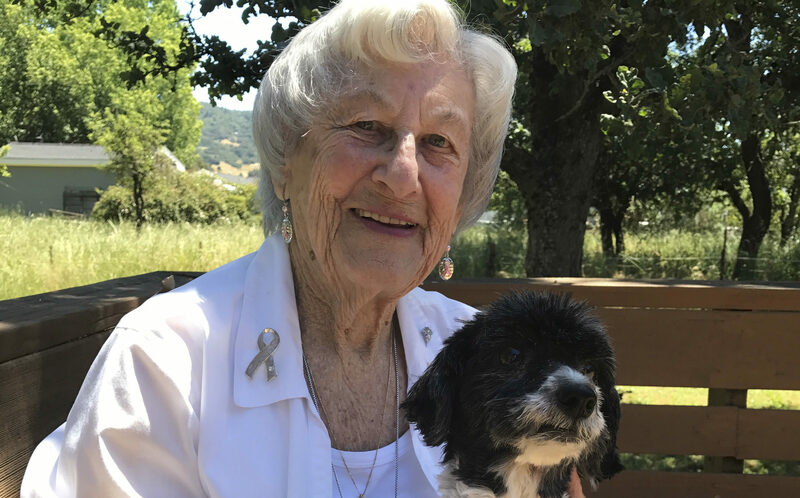 In 1947, she was a founding member of Petaluma Haddassah, which served both as a tight-knit social network for the growing number of young Jewish women in the scattered, rural area, and as a place to discuss Israel and current issues affecting Jews. As she grew older, she began making contributions to the Haddassah Medical Center in Jerusalem; four different plaques at the medical center there bear her name, and her will designates that a significant portion of her estate will be put toward the maternal and child health unit there. But in her community at home, even as a young woman, Elsie was well-known for her upbeat take on life. Though she’s certainly known for her positive attitude, she’s also not one to blend into the background. As she grew older, Elsie stayed up-to-date on politics both local and national and, when prompted, has always been happy to share her opinions. She credited watching the fallout of World War I with shaping her strong ideals and pacifism. “Watching the wounded and seeing their suffering” was simply too much for her, she said. Peace, she believed, should always be the goal. Elsie’s birthday has been marked by considerable fanfare for at least the last 10 years. There’s usually weiner schnitzel, one of Elsie’s favorite foods, birthday cake, and songs or speeches from people whose lives she’s touched. There was the year with the free casino day. And then there was the year Santa Rosa Mayor Bob Blanchard dropped into Beth Ami for Elsie’s birthday party and was so taken with Elsie that he threw a second bash for her at a Santa Rosa City Council meeting. But Elsie’s friends — and there is a small army of them — are determined to make 110 even more special. The festivities kicked off more than two weeks early on July 25, with a large pre-party in honor of Elsie at Congregation Shomrei Torah, through a seniors program at the JCC Sonoma County. On July 28, Elsie received a hand-signed birthday note from Gov. Jerry Brown. A note from President Barack Obama was expected to arrive this week. For her actual birthday, on Saturday, Aug. 6, Vintage Brush Creek will host a large party, with members of Elsie’s community coming from all over to toast her. (A week ahead of time, the children at the Beth Ami Community Nursery School were hard at work painting a banner and making decorations.) Afterward, an intimate party for close friends will allow for more conversation. Some of those close friends, like Gurevitch, have known her for 70 years. But on July 22, back in Elsie’s room for the informal gathering of visitors that has come to be the norm for the centenarian, Bob Raful says it’s become clear Elsie has a way of touching those she’s known for even a short amount of time. As for how Elsie feels about all the brouhaha surrounding her birthday — well, she’s not talking much today, but she’s certainly smiling. And that, for the first time this morning, is when Elsie feels like talking.